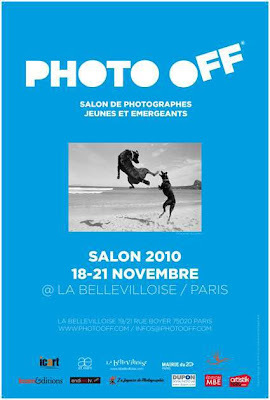 There is 1 week left until PHOTO OFF kicks off in Paris. Janette Danel, the artistic director of the event, just spiced up the time until the opening of the first edition of PHOTO OFF by offering us a double invitation for one of our readers. PHOTO OFF starts on Thursday, 18th November and will last through to Sunday, 21st November 2010. During 4 days, La Bellevilloise together with Art Event and Janette Danel, propose an immersion in the work of around 60 photographers represented by 18 galleries, alongside this year's Biennale of “La Mois de la Photo” in November, when Paris turns into the photography capital of the world.